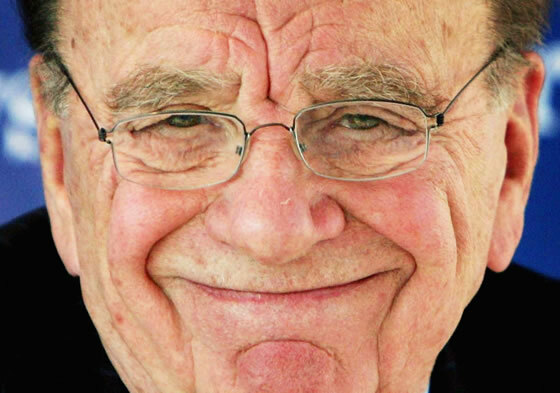 International media juggernaut Rupert Murdoch has signalled his next offensive in the internet news game. From May, News International's centrepiece British newspapers The Times and the Sunday Times will be available online for 1 (NZ$2.11) a day or 2 for a week's subscription. Two new websites will replace the existing combined site, Times Online. The sites will be free to subscribers of the print editions of the two newspapers. Declining revenues in print media have forced newspapers and magazines to look at new ways of earning as the public increasingly expects free news online. Here is why I think Rupert will drop this, it's because it will cost him something much more - influence. By leaving free news content to the BBC's of the world, Rupert will diminish his own editorial influence over the news population. Pay per view on line news will minimize his editorial power and I think that is something that will cost Rupert the wider debate of hard right politics which he is so desperate to weave into the narrative of society. Here is why I think Rupert will drop this, it's because it will cost him something much more - influence. By leaving free news content to the BBC's of the world, Rupert will diminish his own editorial influence over the news population. Um, Rupert is campaigning both publicly and behind the scenes to have influential free sites such as the BBC either scrapped or made pay-to-view. Because of his campaign, the BEEB the other week announced a major cutback in its activities. It'll be an interesting test of just where his greed sits, with revenue or influence. I guess David is probably right, he'll wield his influence to maintain his revenue, but is the internet bigger than that? Could it be the thing to challenge him, or is that just a fringe? While the veracity of this celebrated remark is sometimes disputed, its spirit is not. Stricken with pneumonia, the former prime minister John Howard dragged himself out of bed to pay obeisance to the man to whom he owed many empty buckets. His successor, Kevin Rudd, scurried to an obligatory audience with Murdoch in New York prior to his election. This is standard across the planet. Before he took power, Tony Blair was flown to an island off Queensland to stand at the blue Newscorp lectern and pledge Thatcherism and media de-regulation to the jowled figure nodding in the front row. The next day, the Sun lauded Blair as one who “has vision [and] speaks our language on morality and family life”."